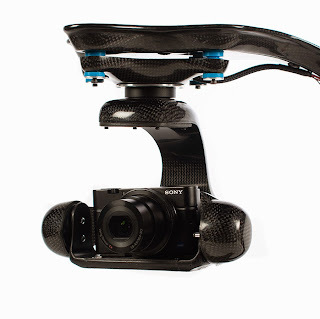 Now, Rhino 5 for Mac is used to design carbon composite gimbals for aerial photography. For those not familiar with drones, a gimbal is the mechanism that keeps the camera horizontal in a moving vessel, such as a drone. Jacek Witalinski learned Rhino and designed his prototype in two weeks from start to finish, with the aid of a few tutorials. "It was my first drawing using this excellent tool."